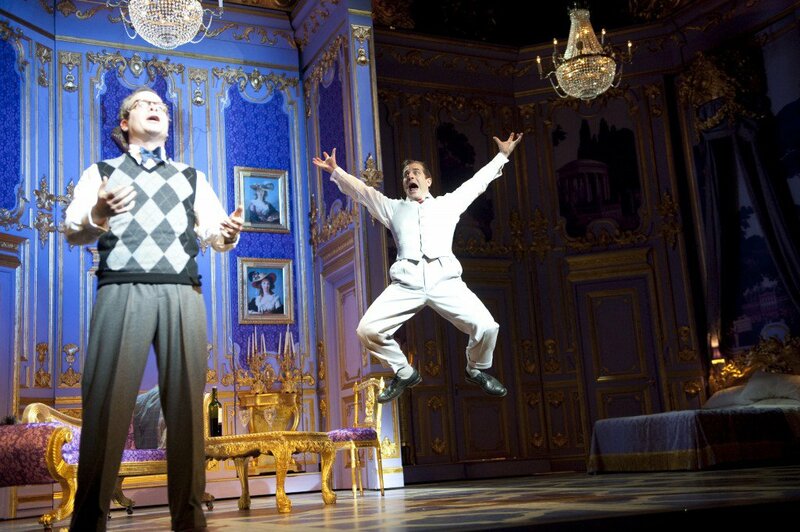 Based on the award-winning West End and Broadway hit comedy by Ken Ludwig, Lend Me A Tenor is now a brand new musical by Peter Sham and Brad Carroll that sings and dances its way through a riotous, unpredictable explosion of mistaken identities and unexpected romance. 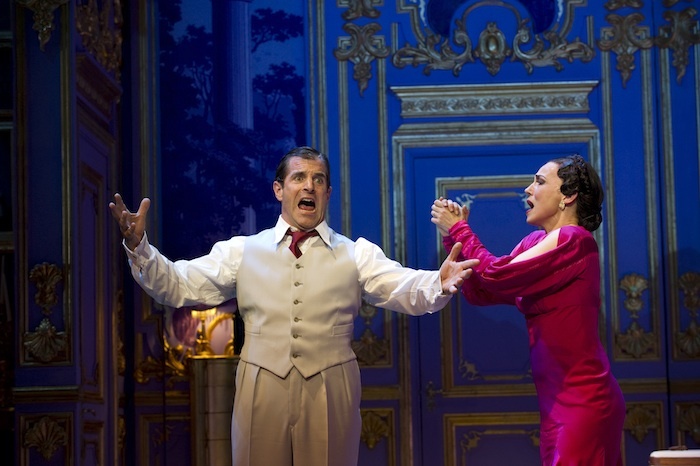 Lend Me A Tenor The Musical premiered in the West End in June of 2011 at the Gielgud Theatre. 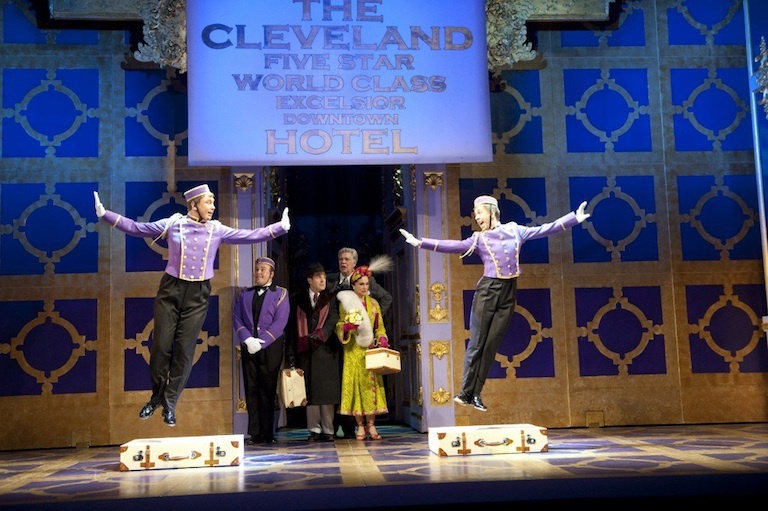 The show earned four-and five-star notices and regular standing ovations from its delighted audiences. From the London critics: “A good-hearted show with real laughs” (The Times); “Far and away the most accomplished musical comedy opening in the West End this season” (The Stage), “Outstanding! I love this new musical comedy!” (The Independent). Brown Productions invested in the show under the producing team of Jason E. Grossman and M. Kilburg Reedy (Radio Mouse Entertainment) along with the lead producers Martin Platt and David Elliot. 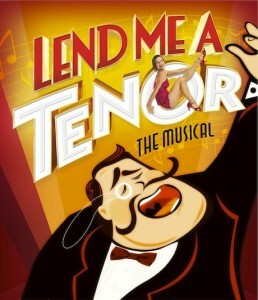 Plans for the international rollout of Lend Me A Tenor The Musical include a 2012 U.K. tour, and productions in Japan, China, Korea, Australia/New Zealand, Germany, and North America. Set in 1934, the world’s greatest tenor, Tito Merelli, has come to Cleveland, Ohio, to save its Grand Opera Company by singing Otello. When he is unexpectedly incapacitated, Max, the opera director’s meek assistant, is given the daunting task of finding a last minute replacement. 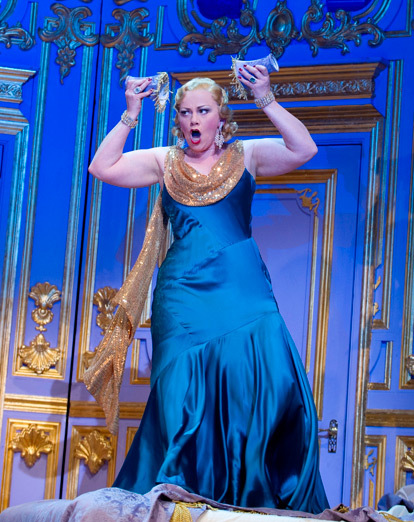 Chaos ensues – including a scheming soprano, a tenor-struck ingénue, a jealous wife, shrimp gone bad and the Cleveland Police department. This brand-new hilarious production is directed by Olivier award-winning director Ian Talbot (High Society, Anything Goes) and choreographed by Tony nominated choreographer Randy Skinner (42nd Street, White Christmas).